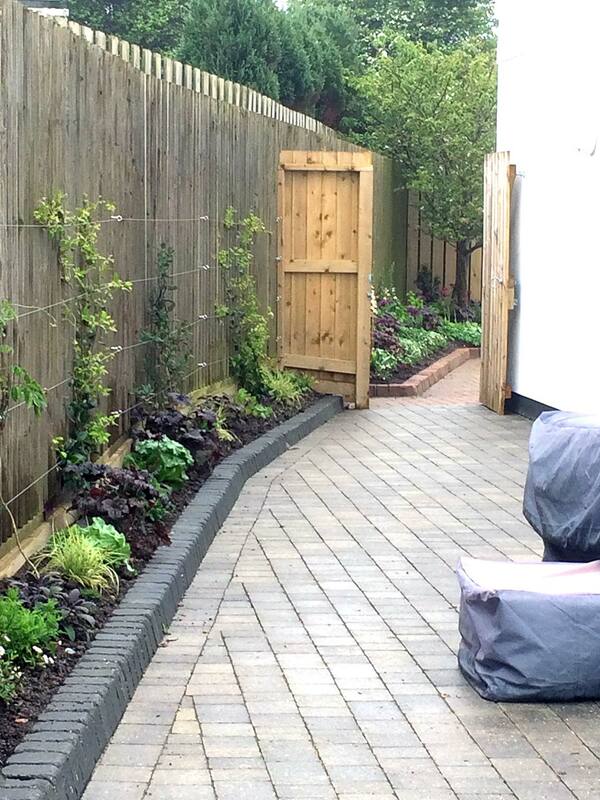 These driveway borders belong to a modern detached home on a small development near Padstow. 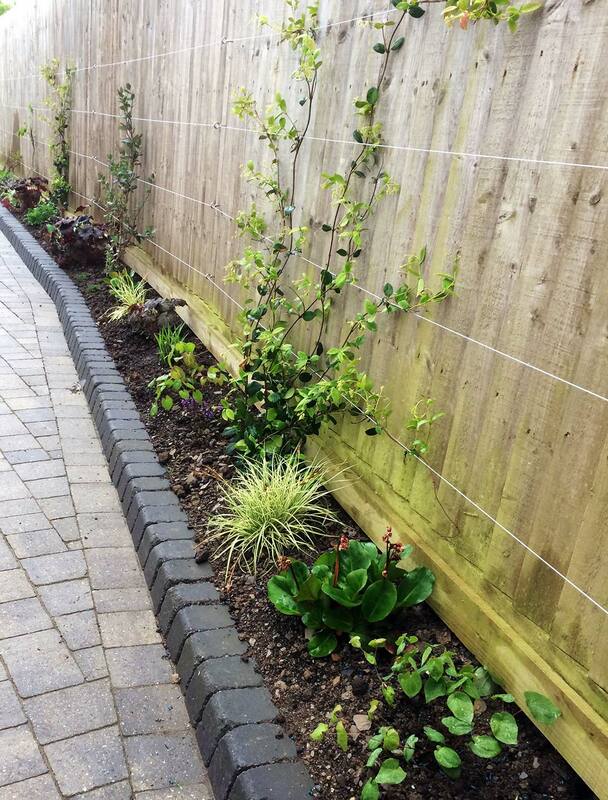 The clients had recently had an extension and new driveway built and now needed some colourful interesting planting to fill this much used area of the garden and break up the long fence. 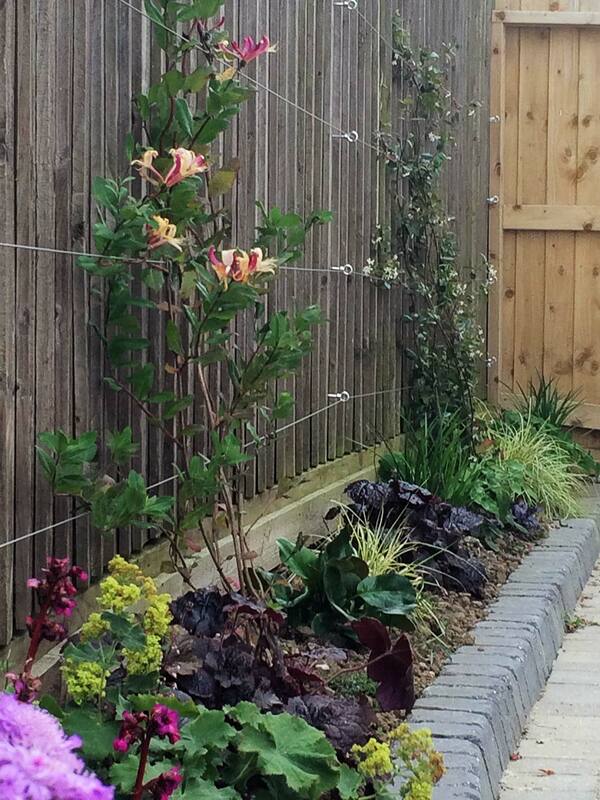 They were not expecting an ‘instant’ garden and were happy to let the planting evolve over time. Planting was selected to meet the varying conditions along the length of the border. These range from dry shade to damp lighter conditions. Fragrant climbers will eventually cover the fence and provide interest throughout the season. As the lower borders fill out there will be a tapestry of textures and colour with plants repeated to encourage a sense of flow and rhythm. 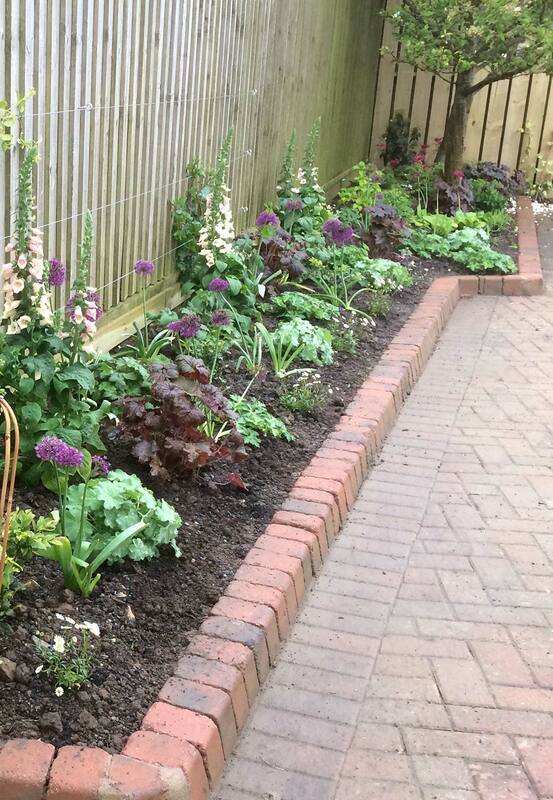 Ground cover planting will reduce the need for weeding and can be allowed to spill out naturally over the paving edges.